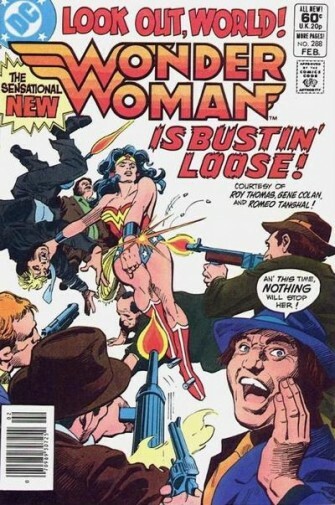 I enjoyed collecting Wonder Woman in the early 80's during the 12 months leading up to the 300th anniversary issue. The change in her outfit then was more subtle with the new emblem. Just seeing Gene Colan's artwork during that run, along with Roy Thomas writing the Golden Age characters, made the new take feel like an event and fun to read.